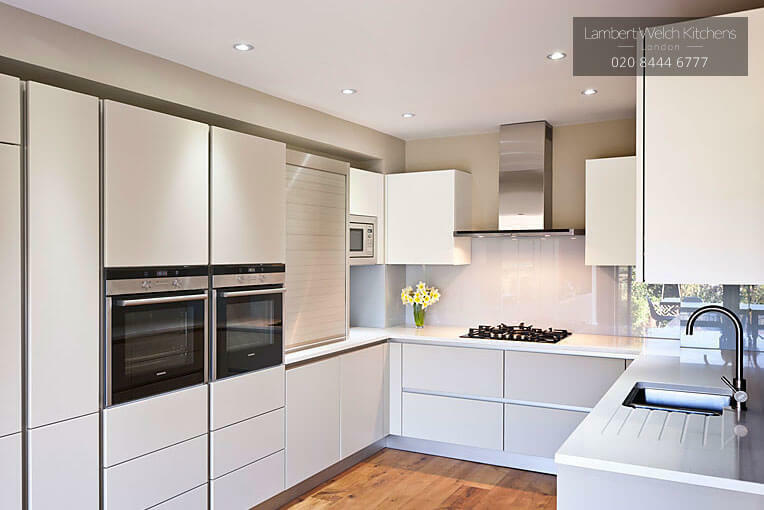 Here at Lambert Welch Kitchens, we offer tailor-made kitchen designs and installation services to all areas of London and its suburbs, in particular, North London. Based in our showroom in Muswell Hill, we can provide you with all of the advice and styling options that you need when it comes to redesigning your kitchen with our range of contemporary kitchens in London. 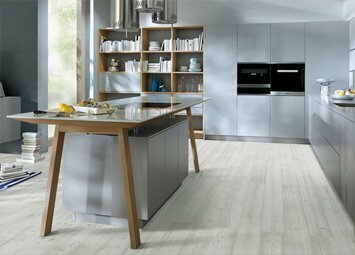 We also offer more traditional styled collections for you to choose from, to truly help you make your kitchen your own. 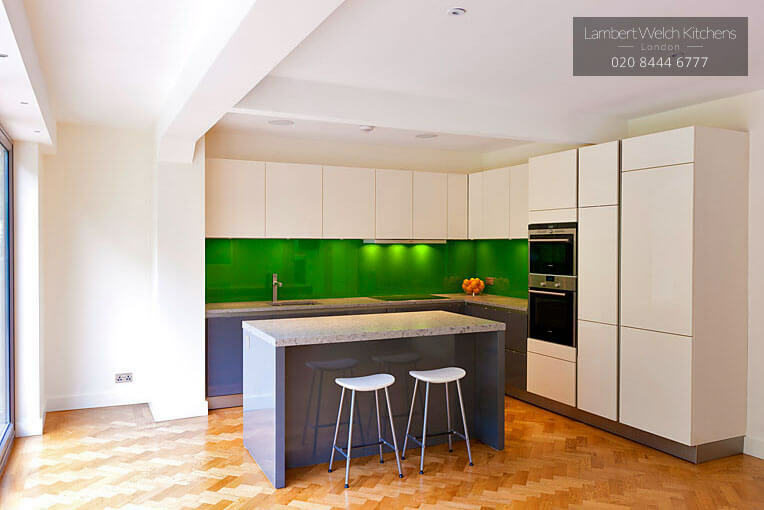 The kitchen is the heart of the home, and with our help, you can marvel at its beauty on a day to day basis. 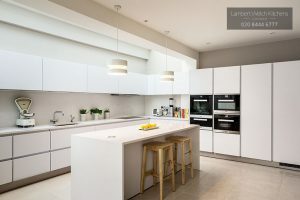 Take a look at our recent portfolio of modern kitchens North West London to see why our customers enjoy our elegant, understated designs. 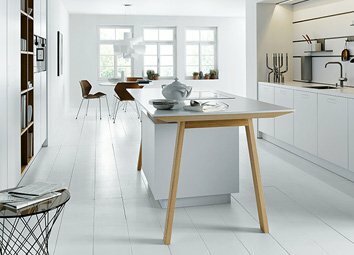 We supply kitchen ranges from one of Germany’s leading kitchen brands – Schuller Kitchens, and their premium Next125 kitchens North London range. 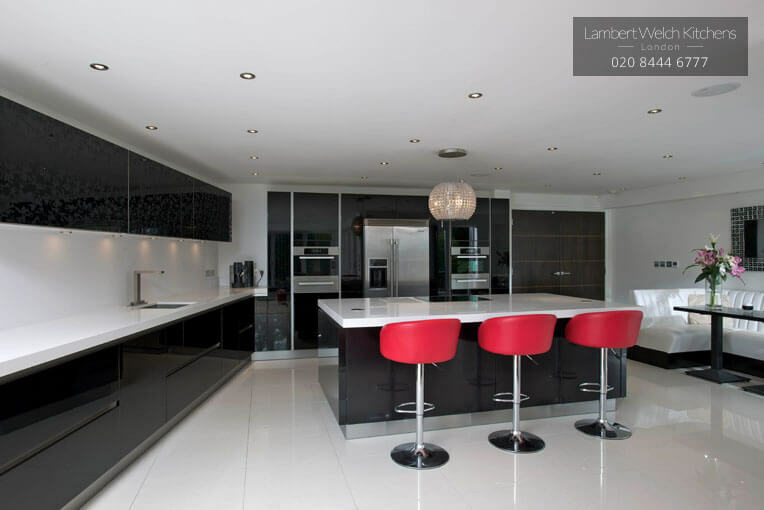 Both collections are renowned for their quality, precision, design and detailing, so whether you’re looking for an understated, traditional look or a glamorous, contemporary kitchen, we can match your exact requirements every time. 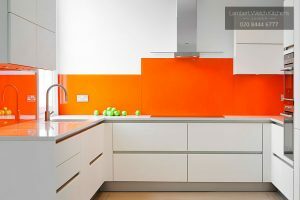 If you’re searching for modern kitchens in London, that are unrivalled in their style and design, then you’re in the right place. 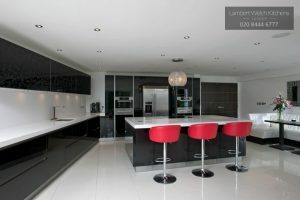 Get in touch with our expert team or visit our showroom to see both modern kitchens London ranges today. I am so pleased with the entire service. I am instructing them on the redesign of my kitchen and have no reservations in recommending them to others. 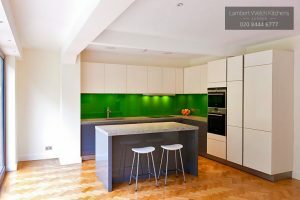 We are passionate about designing beautiful and long-lasting kitchens in London, but we’re also sticklers for functionality. 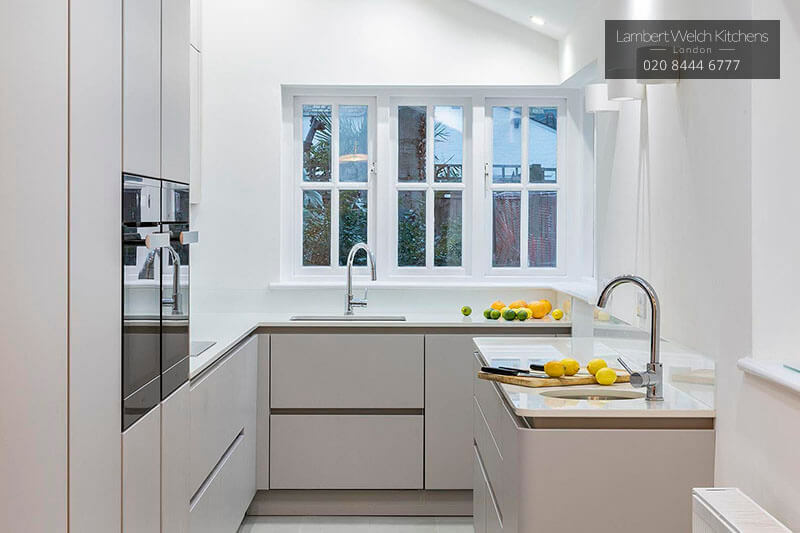 We believe that practicality is one of the most important factors of any kitchen, and combine all of the functions that you need with the beauty of our contemporary kitchens in London. By talking to you and understanding how you use your kitchen, whether that’s simply for day-to-day cooking or dinner parties for large numbers, and garnering your wish-list for your new one, we are able to create a thoughtfully laid-out space which can enhance your home and slot perfectly into your way of life. 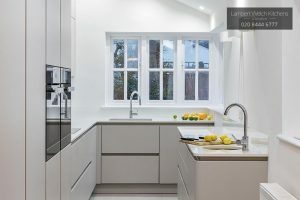 Whether you’re simply looking to upgrade your kitchen with the help of our contemporary kitchens in London, or you’re searching for an entirely new kitchen designed to your preferences, our expert design team can provide you with everything you need. 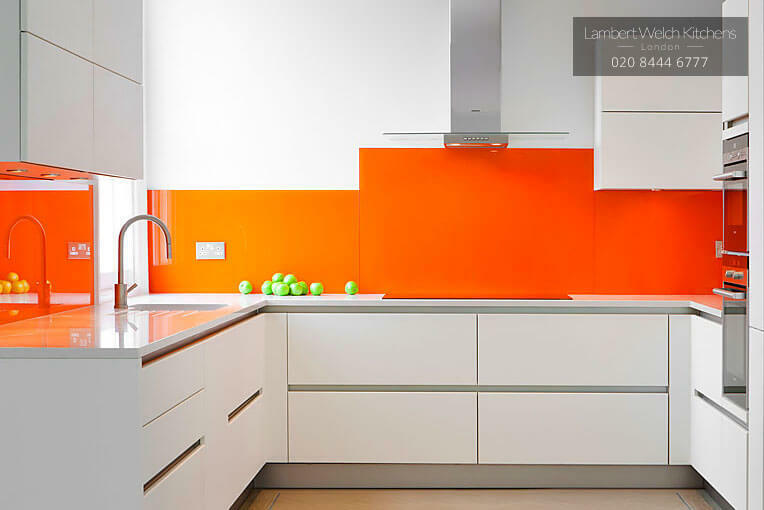 With our range of modern kitchens in London, you can be sure to have a truly personalised kitchen to suit your requirements. 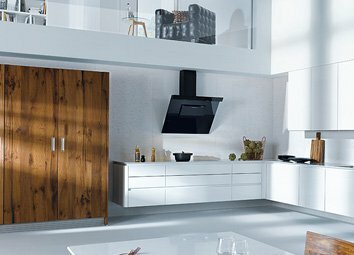 No matter how big or small your kitchen space is, we can expertly design and lay-out the entire room in a way that will leave you in awe.